You are now in the West Kootenays of BC surrounded by the Selkirk Mountains. Almost there. The mountains appear to be growing out of the lake before your eyes. A reclusive road splits off the highway and takes you deep into a secluded valley. “Where am I?” you ask. In the distance a sign for Retallack appears, followed by a turn off across a river. Down the dirt road a luxury 11,000 sqft backcountry lodge comes into view and your mountain chariot awaits. Arriving at Retallack lodge for dinner the night before, you are greeted by friendly lodge staff and the faint sound of a river fills your room. Downstairs the bartenders are mixing drinks while the good times roll on… No wait at the bar either. The dinner bell soon rings and you are treated to a three course gourmet meal crafted by exceptional chefs. After dinner you migrate to the many après scenes the lodge has to offer. Neglin at the bar, Indo Jenga, hot tub, sauna, ping pong, archery and an 18 hole disc golf course are at your disposal. 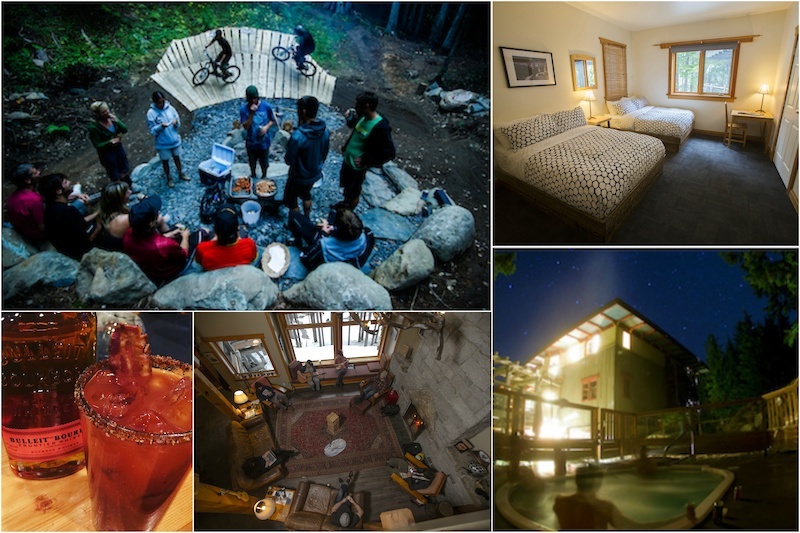 You’ve got the whole place just for you and your friends… The lodge is yours. In the morning you wake up to a delicious breakfast with a variety of options and locally roasted coffee… That was the easiest breakfast you’ve ever had on a bike trip. After a safety briefing you load into the retrofitted military vehicle (aka “War Baby”) and depart for the first lap. 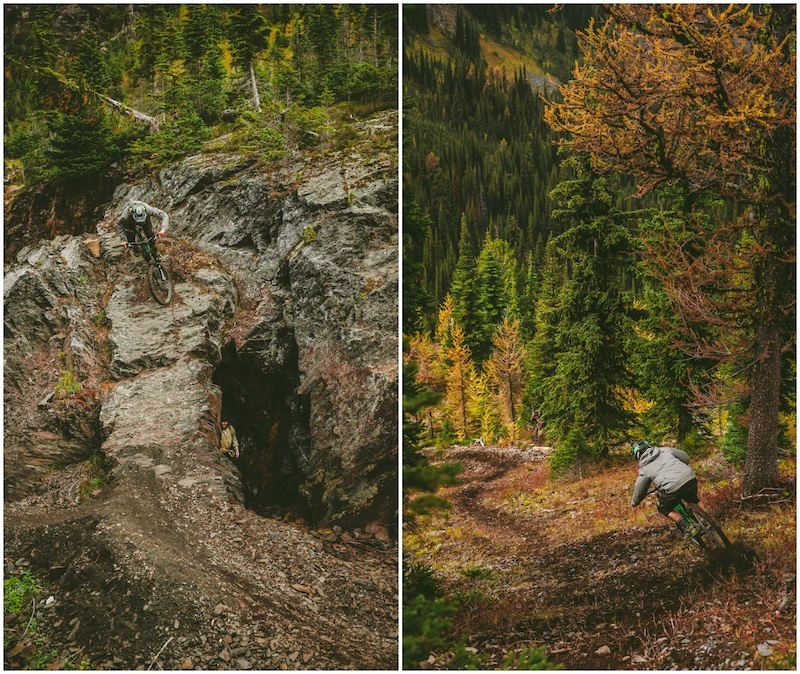 The time has come to see why Retallack should be on everyone’s biking bucket list. It doesn’t matter what bike you are on or how advanced your skill level. 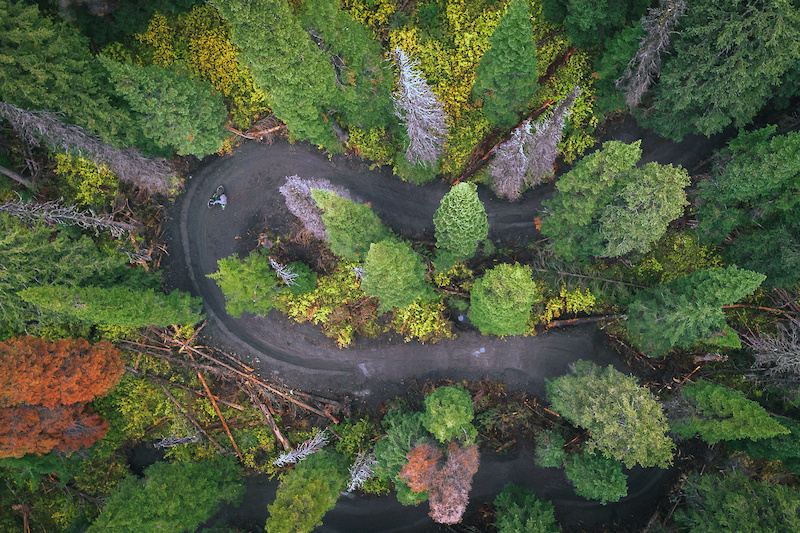 The trails change and conform to your style whether you’re riding a 29er hardtail or Kona Supreme Operator. Take your pick. The 150mm enduro seems to fit nicely and Kona Operators are available for rent. 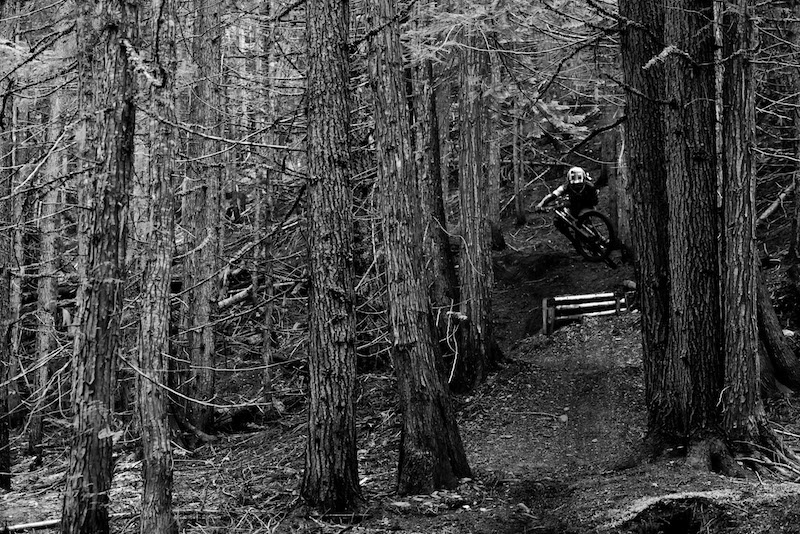 The trails have incredible flow and options with sight lines reaching far down the trail and no matter how many laps you fire off, you aren’t feeling very tired. 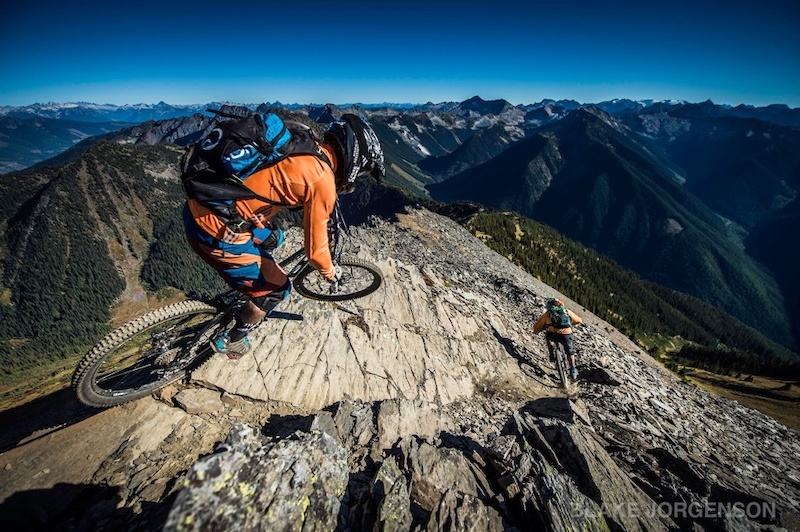 You experience perfectly crafted hand built single track at all elevation bands. Each trail has a unique flavour that blends perfectly together. You stop for lunch in the front of the lodge for a refresh and then load up, or just chill back for a bit. It doesn’t matter. The vert is starting to add up; 5-10,000 ft before lunch 10-20,000 by the end of the day. The final lap ends creekside for a cool down with nachos and refreshments. “What just happened?? ?” you ask. No worries, you’ll repeat it again tomorrow. Maybe a couple of pints on the disc golf course before dinner though. You wake up knowing a little bit more of how the program runs and what to expect, but you’ve really only just got your feet wet. Today is when things really start to kick in. 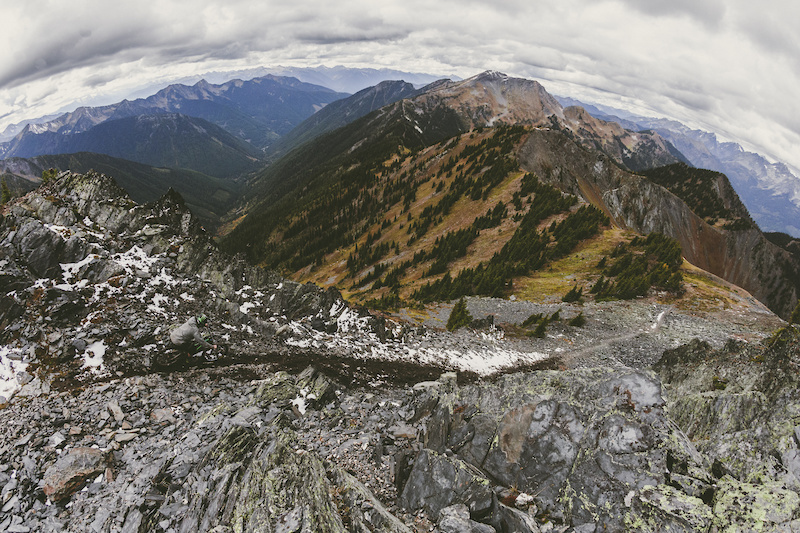 You’re getting to know the trails that you replayed in your head last night. 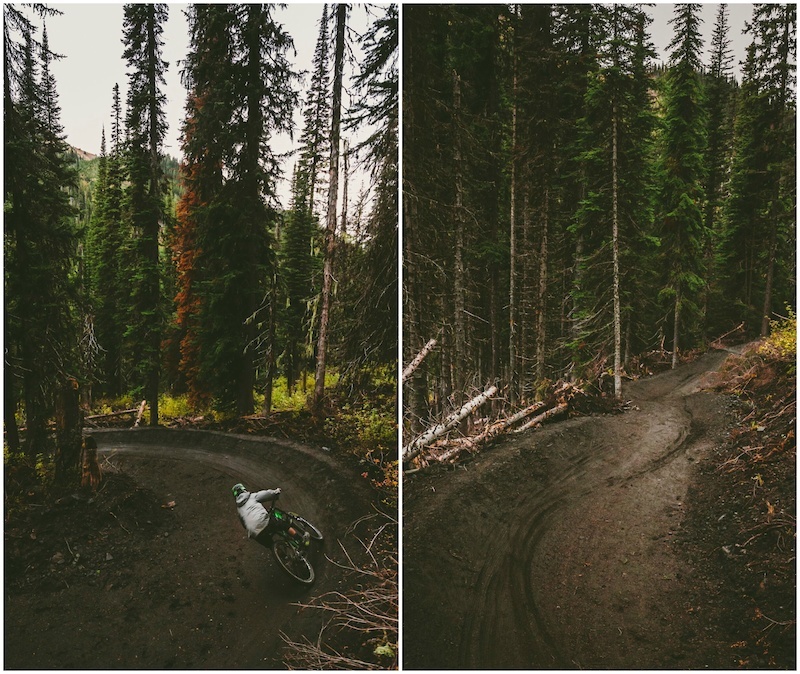 You load up and head to a freshly crafted trail and are shown new lines and options from yesterday’s lap. It feels like you are in an alternate universe at this point. You start even higher this next lap. Retallack’s guiding staff keep the program running smoothly and the bike loading process is systematic. Any issues with beating up your truck to get to the top, annoying retrievals, friends missing out on laps, or where to go don’t exist out here. Everything has been taken care of. 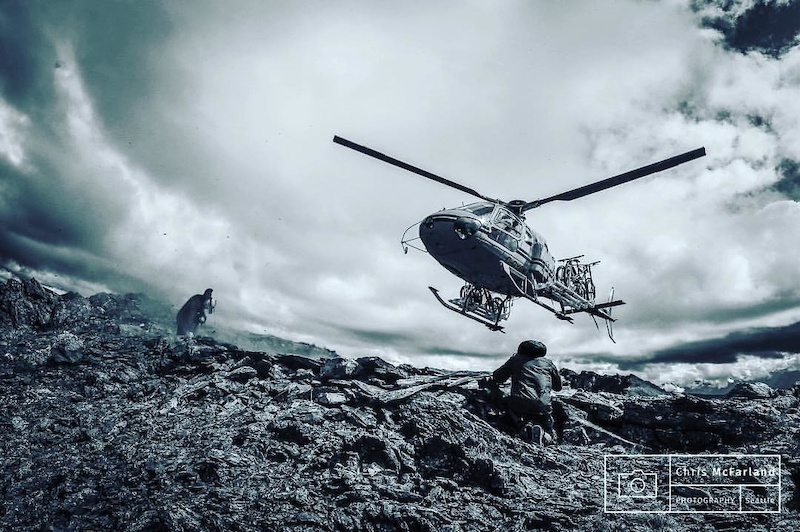 You feel safe knowing they are extremely well trained with the rescue equipment they use and in backcountry rescue. There are 2 guides for every group and all bring their trail knowledge of flow, sneaky lines, and guidance. Riding with them brings a whole new experience for you and you feel like a better rider with each lap. They show you skills and tricks that open up the flood gates of your inner shredder. 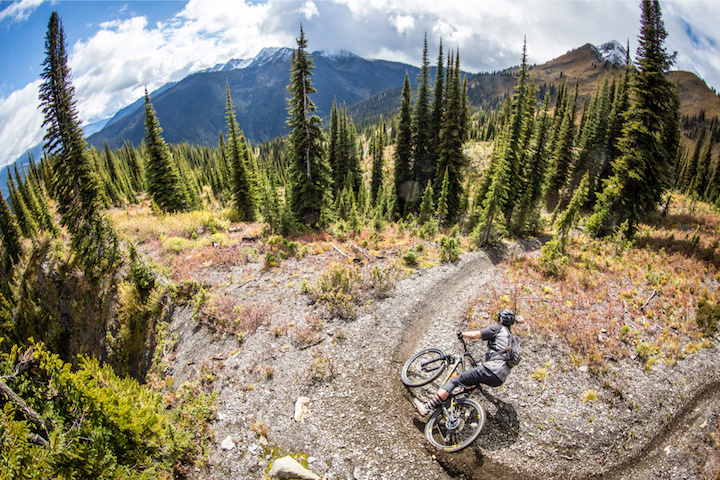 Retallack’s aprés bike scene is an experience of its own. This isn’t a typical sit down and wait for a jug of beer after a ride. It is a fully serviced hangout with lots to keep you occupied including disc golf or our classic game of Neglin by the bar. If that’s not your style then chill in the hot tub, sauna or down by the creekside beach. As the final night goes on and the festivities ramp up, the feeling of having to leave this place and head back to reality starts to fill your mind. 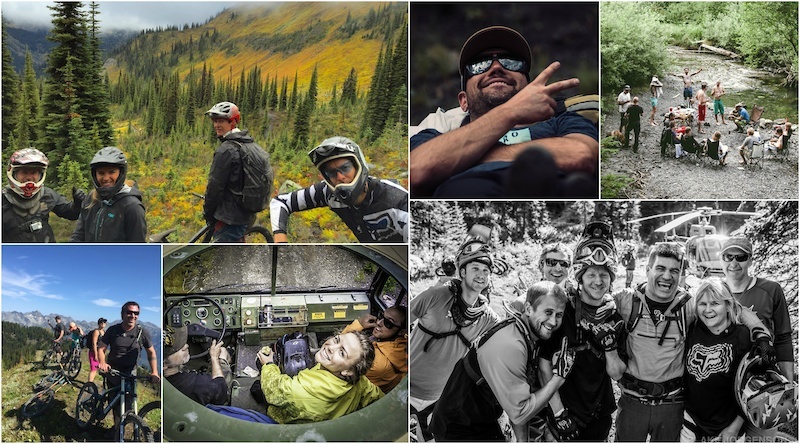 The rest of the crew tells you to forget that because you are all going heli-biking tomorrow. Remember? As unreal as the trails have been, the best is still yet to come. 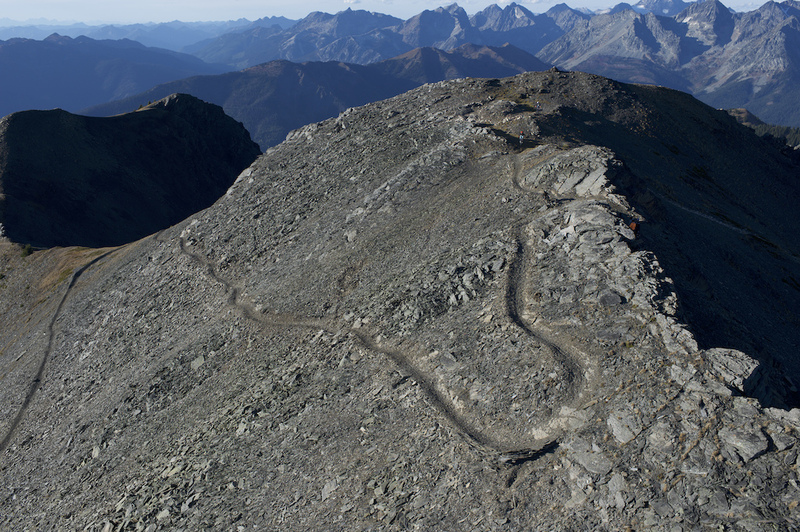 Huge enduro descents that define what mountain biking really is are on the list for tomorrow’s agenda. The cool night replenishes the dirt’s thirsty need for moisture. You depart the lodge to get a couple of laps in before the flight and get a friendly buzz from the flying chariot as you descend to the staging area. Once down, the guides begin organizing and going over safety measures to make sure everything operates smoothly and efficiently. 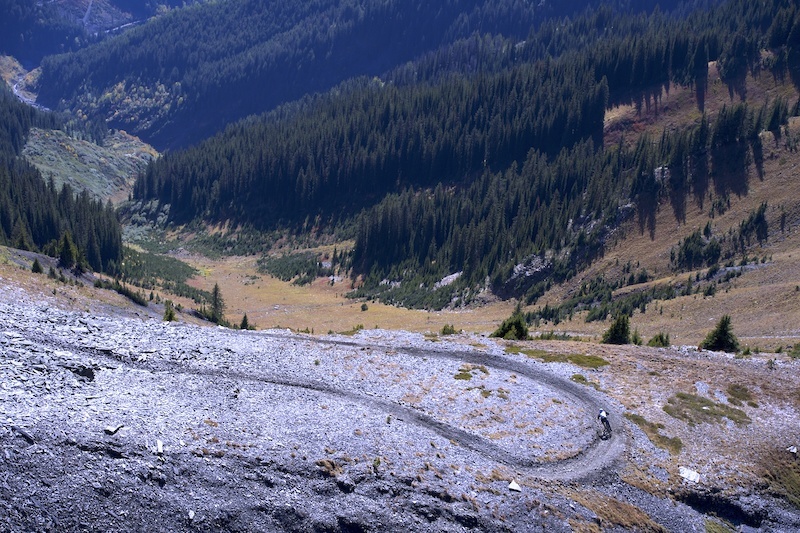 With the bikes loaded up you start the ascent to any of the many peak trails. 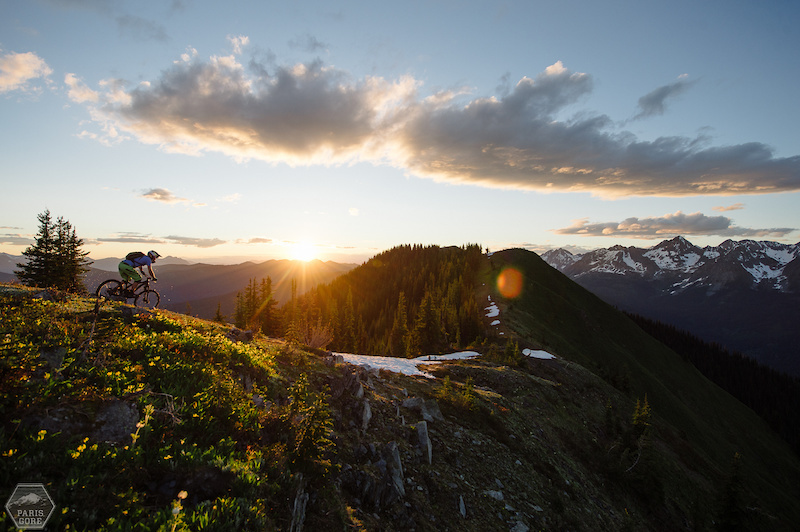 As you rip the last lap back to the lodge, it all starts to sink in that this was the best bike trip of your life. This place really provides a service like no other. Everything that you could imagine in a bike resort. The whole operation is a well-oiled machine, exceptional in all aspects. The service, food, lodging, guiding, trails and transport are next level. All you can really think about though, is how good of a time you had riding. Getting up each day with your friends and riding bikes without a care in the world. Maybe you should add another day next year??? 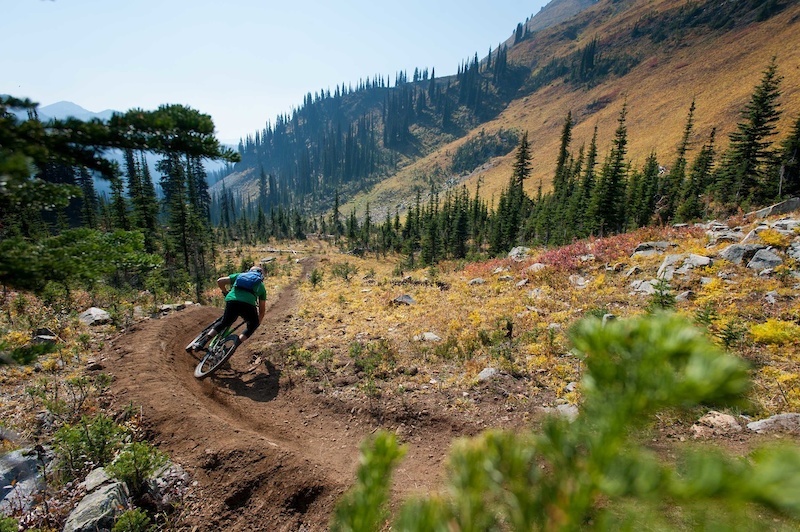 Retallack mountain bike packages start at $425 CAD (Approx $300 USD) per person/per day and include all gourmet meals, accommodation, lodge amenities, guiding, riding, and mountain transport. 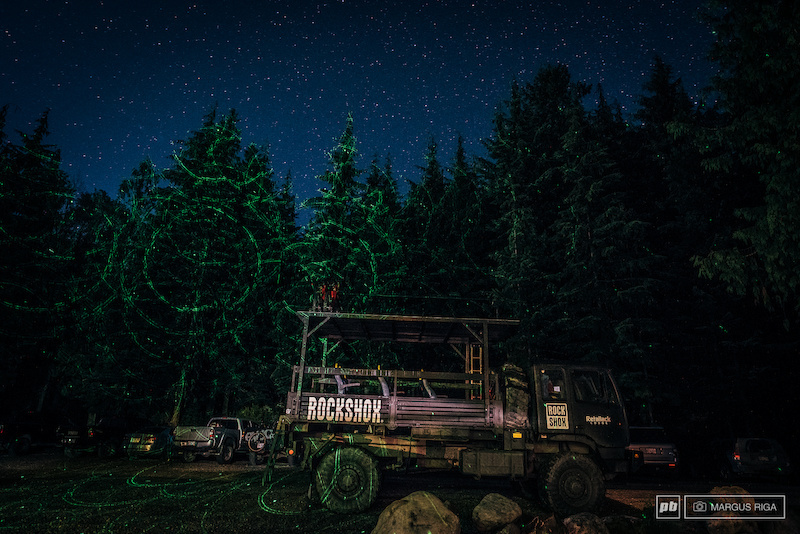 Heli packages are an additional $450 CAD with additional laps at discounted rates. You’ll only be one year older if you wait.